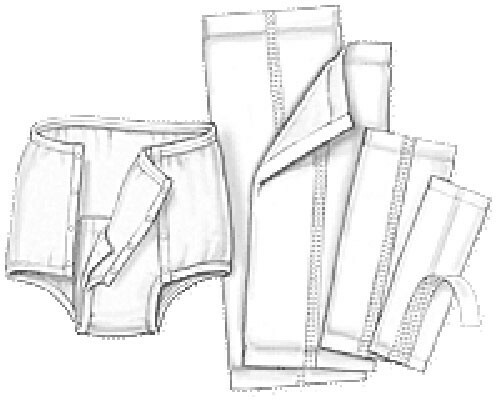 Liners are designed with a slim silhouette that is undetectable under regular clothing. Stay dry facing encourages a healthier skin environment, and double adhesive strip on the moisture-proof backing holds liner securely in place. Available with POLY-FRESH super absorbent polymer for improved dryness and skin protection. 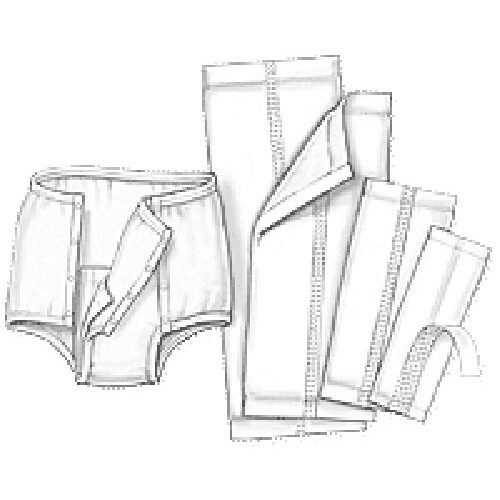 Reusable cotton pants have elastic waist and leg bands for improved comfort and fit, and a snap-open front panel for easy pad changes. My dad tried all types of leg bag wrap, straps and pant, but nothing worked to help him in his incontinence and at the same time to stay discreet. Until this one was suggested to us by a neighbor who is a caregiver. We tried it and my dad loved it. I can't believe that this simple product solved his problems. We have been very happy with these pads. They work extremely well and hold a lot of moisture and keeps it away from the skin. Delivery time is excellent and we have been very satisfied with Vitality Medical.